By law, the Social Security Administration (SSA) is required to consider all medical evidence relevant to your impairments, before determining whether they are disabling. What is written in your doctors’ treatment notes, x-ray and MRI reports, evaluations, hospital records, and therapy notes is the most important factor in winning your case. If you do not receive treatment, or are unable to access your treatment records, it is unlikely that your Social Security Disability claim will be approved. 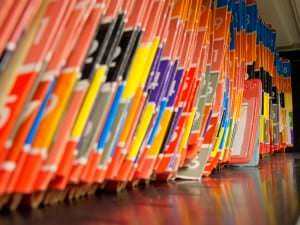 Medical records can be very expensive to obtain, especially in the State of Washington, where medical providers and their copy companies are permitted by State law to charge more than any other State in the country. In Washington State you will be charged a $25 administrative fee just to start the process, then $1.12 per page to copy the records. (this drops to 84¢ per page after the first 30 pages). To obtain a copy of a modest 20 page medical record, it will cost you $47.40. If you have been hospitalized, it is not uncommon for the records to number over 100 pages, which would cost you $117.40 in Washington. Compare this with New York where 20 pages would cost $15, or Oregon where you would have to shell out only $56.25 for a 100-page hospital record. Fourteen States have passed laws requiring that medical providers give patients a copy of their records for free when they are needed to support a Social Security Disability claim. (CO, CT, GA, KY, MA, MI, NE, NV, OH, RI, TN, TX, VT and WV). At the Initial and Reconsideration levels of review, SSA will obtain your medical records as a matter of course. It is important that you advise SSA of all your medical and mental health providers, as well as any hospitalizations, physical therapy, and consultations with specialists. If SSA does not know about a medical record, it cannot get it for you. The cost problem arises at the hearing level of appeal, where the normal process is for you to update your records for the Administrative Law Judge (ALJ). Assuming you do not live in one of the 14 States where you can get a copy for free, there are ways to obtain the medical records you need and may not be able to afford. 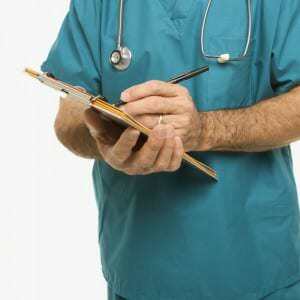 Many medical providers will provide you with a free copy of your medical records, if you ask them nicely. While they are permitted by State law to charge $47.40 for 20 pages, they are not required to. Remember that you only need to get the new records, and SSA will send you an Exhibit List so you will know the date of the most recent medical records that are already in your file (look at the list of “F” exhibits). If you cannot afford to update your medical records, you should contact the Office of Disability Adjudication and Review, in writing, with a list of your medical providers and their addresses, and a request that they update the records for you. This request should be made at least a month prior to your scheduled hearing, to give the ALJ’s staff time to get them. Washington State law requires that the medical records be provided within 15 business days from the date of the request – but often there are backlogs and unexpected delays. There is a federal law that can help reduce the cost of you medical records: the Health Information Technology for Economic and Clinical Health (HITECH) Act, 42 U.S. Code §17935. Subsection (e) requires that, if you request your records electronically, your medical providers must provide them, and charge you no more than their actual cost to do. This eliminates the “per page” cost, as well as a flat administrative fee to pick up your file and look at it. You should be charged only for the time necessary for a staff person to move the electronic file onto a disc + the cost of the disc + the postage to send it to you. There are some limitations to HITECH, and it is a relatively new law, so not all medical providers and copy companies are aware of it. In cases where it works well, however, it can cut that $47.40 or $117.40 to less than $10. If you have a representative to help you with your appeal, he or she will update your records for you prior to your hearing. While law firms are not permitted to pay for your costs outright, they can front them if you agree to reimburse them at the conclusion of your case. Usually you receive a back-award of Social Security Disability benefits at the end, making the cost of medical records relatively painless at that point. Even if you have a representative, you may want to ask your doctors if they would give you a copy of your records for free. You should also ask your representative to use HITECH to reduce your costs.